If you’re worried about the health of your prostate, it may be time to put down the burger and step away from the steak. Research has shown that certain foods may be detrimental to prostate health and increase your risk of serious health issues. So which foods are the ones you need to avoid? Below you will find four of the worst foods for your prostate and how they impact the gland. 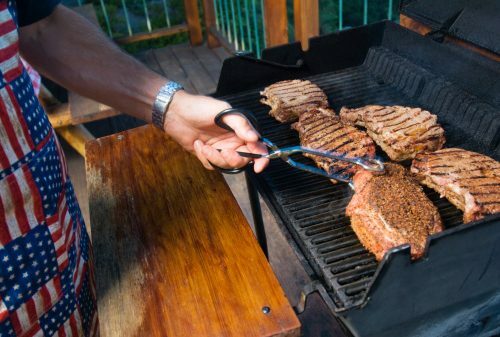 Red meat: While red meat has been linked to higher cholesterol levels and heart conditions, binging on steaks and burgers can also raise your risk of prostate cancer. This is due to the formation of heterocyclic amines (HCAs) within the meat when it is cooked at high temperatures – for example, frying in a pan or grilled over an open flame. HCAs have been found to be mutagenic, meaning they can alter DNA and increase your risk of cancer. Along with red meat, processed meats like hot dogs have also been found to increase this risk, so think twice next time you plan a backyard barbeque. This isn’t to say you can never enjoy a juicy steak again; rather, you should limit your intake and make red meat an infrequent indulgence instead of a dietary staple. High-fat dairy foods: Dairy is an important source of natural calcium that can keep your bones strong and healthy, but consuming high-fat dairy products like heavy cream and whole milk may cause more harm than good. Researchers have found that drinking whole milk may expedite the progression of prostate cancer and increase the risk of mortality due to the disease. Instead of using heavy cream in your coffee, opt for a lower percentage table cream instead. When it comes to milk, skim is the best option, though two percent is still better for your prostate than the full-fat option.